Visit these scenic notable temples; Wat Phra Kaew, Wat Pho, Wat Rakhang, Wat Arun, and Wat Kalayanamit. Plus I'll take you to see Wang Lung Market situated nearby. 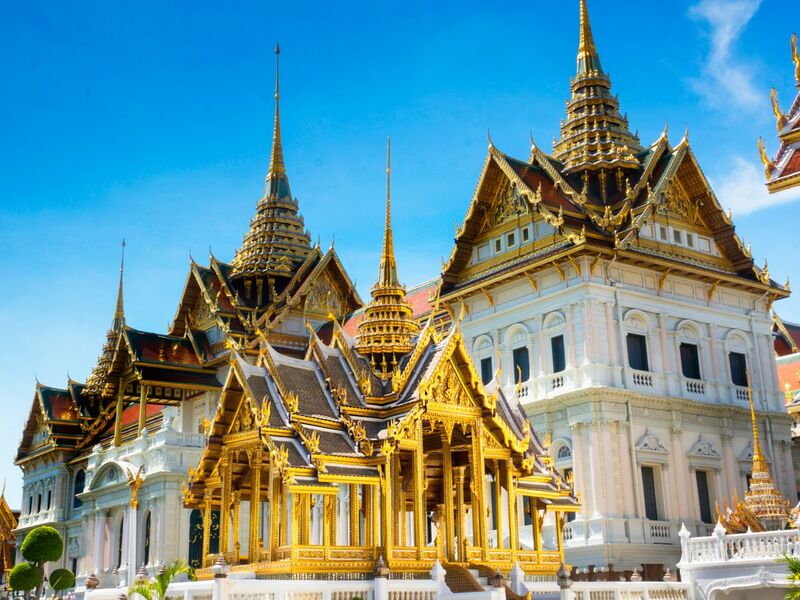 Visit Wat Phra Sri Rattana Satsadaram (Wat Phra Kaew) or the Temple of the Emerald Buddha. The temple is richly endowed with fine art and architecture. Visit Wat Phra Chetuphon Vimolmangklaram (Wat Pho). Boat trip to Wang Lang market. Experience life through the local market and tasting the local cuisine. Visit Wat Rakhang Kositaram Woramahaviharn known as Temple of the Bells or Wat Luang Phor Toh. Boat trip to Wat Arun (Temple of Dawn),The main highlight of Wat Arun is undoubtedly the grand pagoda, or prang in Thai. Influenced by Khmer-style pagoda, the 67-meter-tall pagoda is made of cement covered by million pieces of China porcelains. Wat Kalayanamit Woramahawiharn. The statue of Luang Phor Toh size 10 meters 3 cubits wide, 14 meters 2 cubits high 10 inches is enshrined in the gigantic viharn in the center of the temple, between a small wiharn and Phra Ubosot. This price include everything. (Private car , Boat trip , Lunch , water drink, Admission tickets all place in this trip.) You do not have to pay more later!!! You will have experience life through the local markets and tasting the local cuisine. Learning Thailand culture through various temples. I will help you save your good memories by taking pictures for you throughout the trip.